There is a very wide choice of accommodations and around this beautiful area you will find the 8 most beautiful Dutch cities: Amsterdam, Haarlem, Delft, The Hague, Leiden, Rotterdam, Gouda and Utrecht. All this historical cities in Holland are less than an 1 hour drive from the tulip and beach area of Holland. 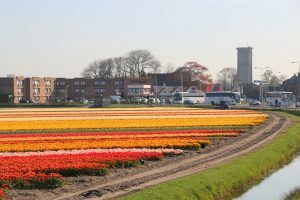 Below you will find our tips for the best hotels and bed & breakfast locations near the flower fields and close to the beaches of Holland. We will also give our tips for the best hotels in the cities around our area. The beaches of Holland are great. They are even on the National Geographic list of most beautiful beaches in the world! 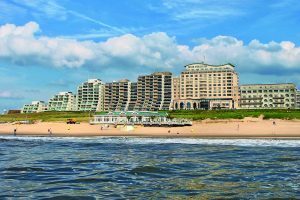 Holiday park Duinrell, for a perfect family vacation in Holland! 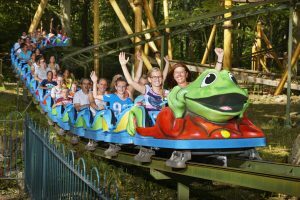 Duinrell is not only the best amusement park. It also has a great holiday park and a campsite where you can have a wonderful holiday for young and old.